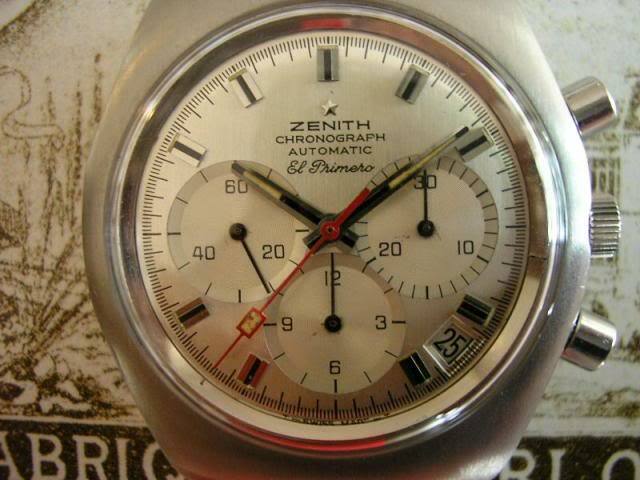 40 Years ago, on 3 March 1969, the first automatic chronograph movement was introduced. This movement, nick-named Chronomatic, was developed by a joint venture of Heuer, Breitling, Buren and Dubois-Depraz. The Chronomatic was used by Heuer, Breitling and Buren under the name of caliber 11. It actually started with the development of a HMS (hours, minutes, seconds) movement that got it’s power from a micro-rotor! Buren patented a micro-rotor winding system, that was called planetary rotor, in 1954. However it took them untill 1957 before it saw production and later, in 1962, the design was refined into caliber 1280. The new caliber 1280 had a slightly larger swinging mass than the earlier caliber and the swinging mass now swung over the center of the movement. This caliber, also called Intramatic, won the Prix d’Honneur at the 1964 Swiss National Exposition in Lausanne. A year later the micro-rotor was further refined into three movements; calibers 1320, 1321 and 1322. In order to create the first automatic chronograph Heuer, Breitling-Leonidas, Dubois-Depraz and Buren used the Intramatic. They needed a good power source and the Intramatic was exactly that. This movement offered the opportunity to use it upside down (rotor towards to dial) and put a chronograph module on top. The base movement with micro-rotor features the 8510 chronograph module by Dubois-Depraz, that was attached to the backside of the movement hiding the micro-rotor entirely. This ‘merger’ of a micro-rotor movement and a chronograph module became world’s first automatic chronograph, the Chronomatic. The caliber 11 automatic chronograph was used by the brands who developed it in some of the most famous wristwatches ever created. 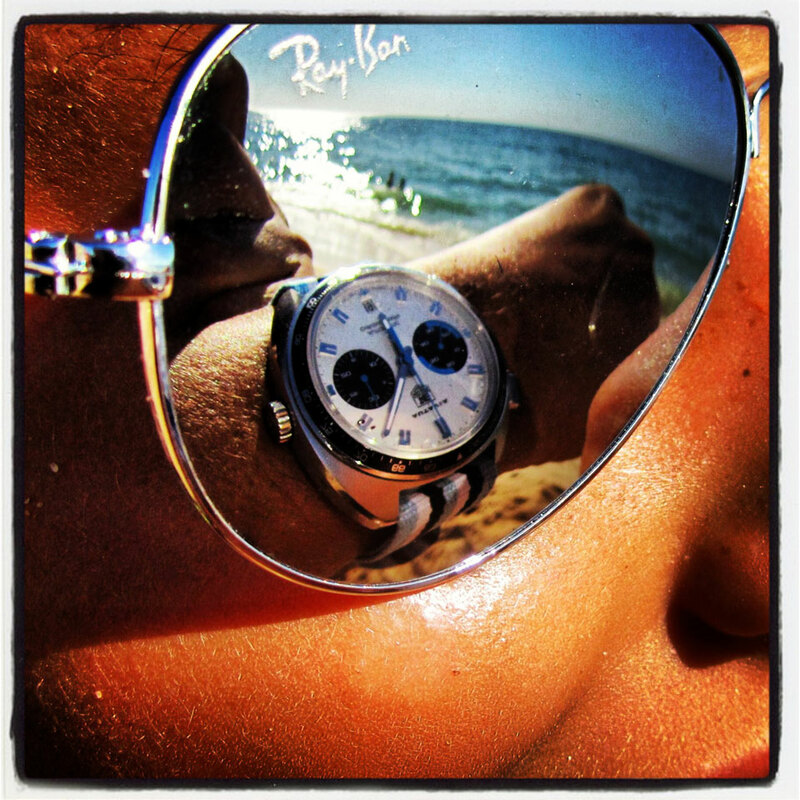 Just think of the Heuer Monaco, Heuer Autavia and Breitling Chronomatic. TAG Heuer and Breitling both have released re-issues of these ground breaking automatic wristwatches chronographs. 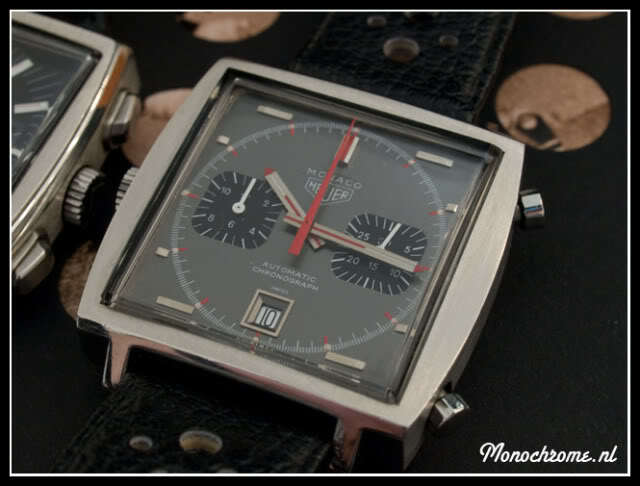 Last week i blogged about a few of the new releases of TAG Heuer, including a limited edition Monaco Original Re-edition, using a caliber 12. 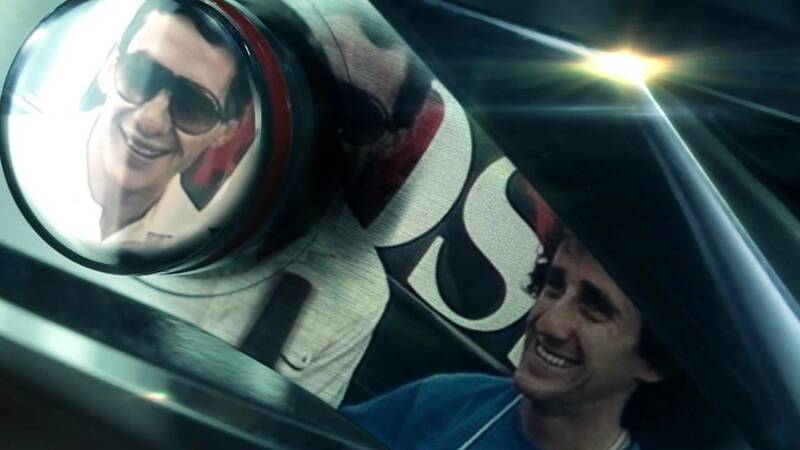 One of the remarkeble features of the calibers based on the Chronomatic, is the crown on the left side of the case and the pushers to operate the chronograph are positioned on the left side. Not only the caliber 11 Chronomatic celebrates it’s 40th birthday, but also the release of the Heuer Monaco is 40 years ago. 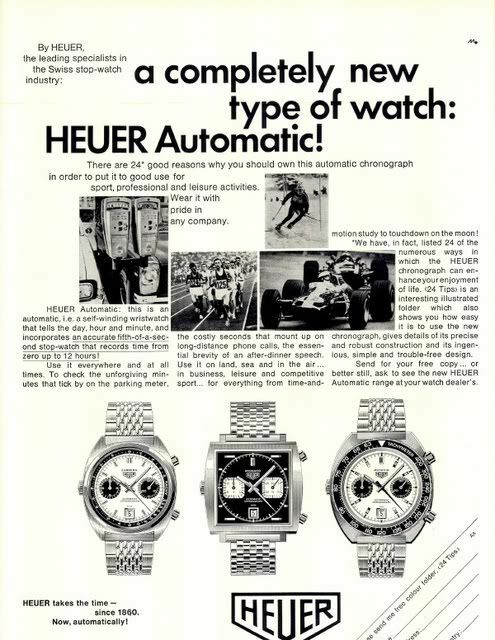 The old Heuer advertisement is for the automatic chronograph featured in the Heuer Autavia and Heuer Monaco. 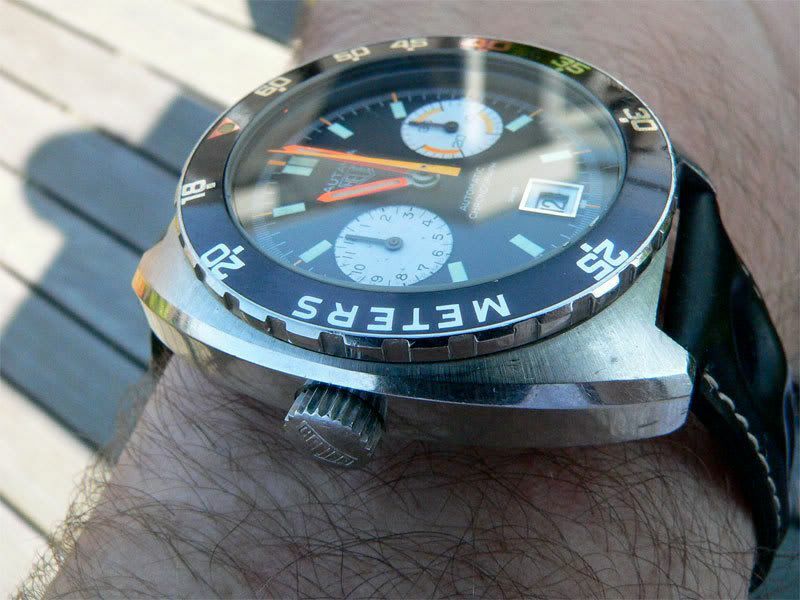 Here’s a photo of my own Heuer Autavia 11630 with decompression bezel. This Autavia features a further refined movement, called caliber 12. You can read more about the Heuer Autavia at OnTheDash, a website dedicated to vintage Heuer Chronoraphs. At OnTheDash you can also download a full copy of the 2nd edition of the 1969 Swiss Watch and Juwelry Journal, reporting about the release of the first automatic chronograph. I can also recommend to read Project 99 – the race to develop the wolrd’s first automatic chronograph, a very intersting article by Jeffrey M. Stein. I can also recommend to read Project 99 – the race to develop the wolrd’s first automatic chronograph, a very intersting article by Jeffrey M. Stein. Thanx for the tip, the article by Jeff Stein is absolutely worth reading! 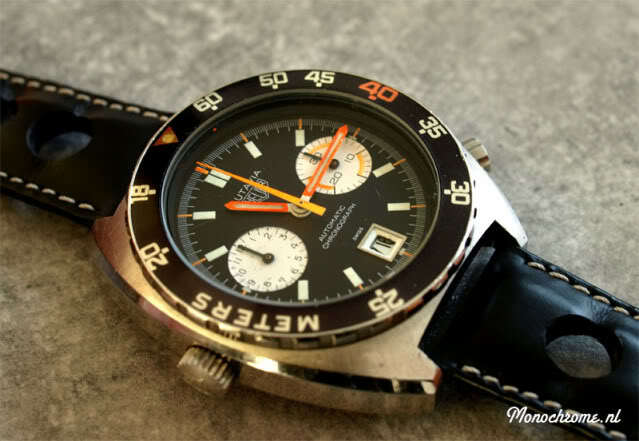 Seiko was likely first to produce an automatic chronograph and be first to market. Based on Seiko serial numbers substantiated by watches in collector hands, Seiko appear to have started production of their 6139 automatic chronograph in February ’69 and by March had produced at least 4000 watches. Seiko had thousands of watches completed when the others only had prototype watches to show along with lots of marketing hype. The Seiko 6139 is arguably a much more technically sophisticated watch than the others also. It was the first automatic chronograph to use a vertical clutch, it used column timing control and was an integrated chronograph. The Swiss didn’t come up with a chronograph incorporating these technical features until 1987 when the F. Piguet 1185 movement was introduced. Seiko never publicly hyped the 6139, as they were busy hyping the first quartz movement production watch, the Astron, which they introduced at Basel in 1969. It isn’t clear by any means that Seiko was first to market with a production watch. The only thing that is certain is that Zenith was third. According to current sources at Seiko, the company launched its reference 6139 automatic chronograph for the Japanese market in May 1969. It remains unclear, however, whether this “launch” was merely a press event (parallel to Zenith’s January 1969 event), or whether samples were delivered into retail channels in Japan at that time. 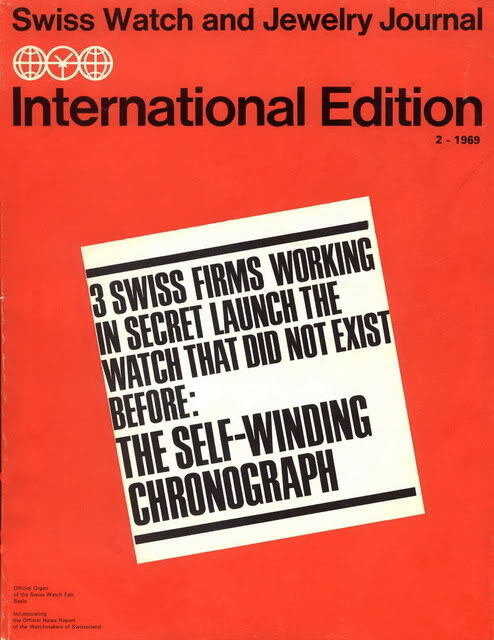 Serial numbers, marked on case-backs of the earliest Seiko Reference 6139 chronographs, indicate a date of March 1969. Again, one can only speculate about whether these were pre-production models or the first pieces of Seiko’s serial production for the Japanese market. Thank you for sharing that information MBP. The fact that mr. Hattori said those words to Jack Heuer is new information for me and could well indicate that Heuer was first. 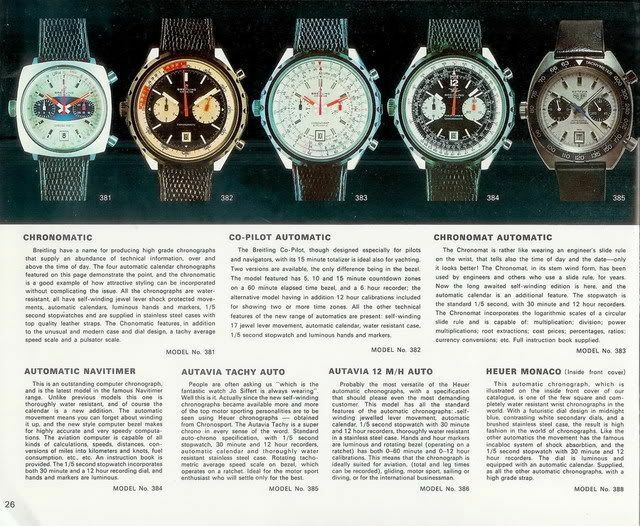 Most important is that four Swiss companies (the three working on caliber 11 and Zenith with their El Primero) and one Japanese company, all launched an automatic chronograph movement in 1969. The fact that Mr. Hattori congratulated Heuer is just lip service in typical Japanese tradition – it does not prove that Heuer was first. Orex is correct, a Japanese executive in charge of a massive and historic company doesnt need to TELL Jack Heuer anything. One does not brag about accomplishments, one KNOWS. And For Jack Heuer to allude to something different or some Western one upmanship is uncultured. I have a Seiko 6139-6010 with serial number indicated that the watch came out of factory on January 1969. That is a real mass production piece that went to the market while its swiss competitor didn’t have any working prototypes yet.